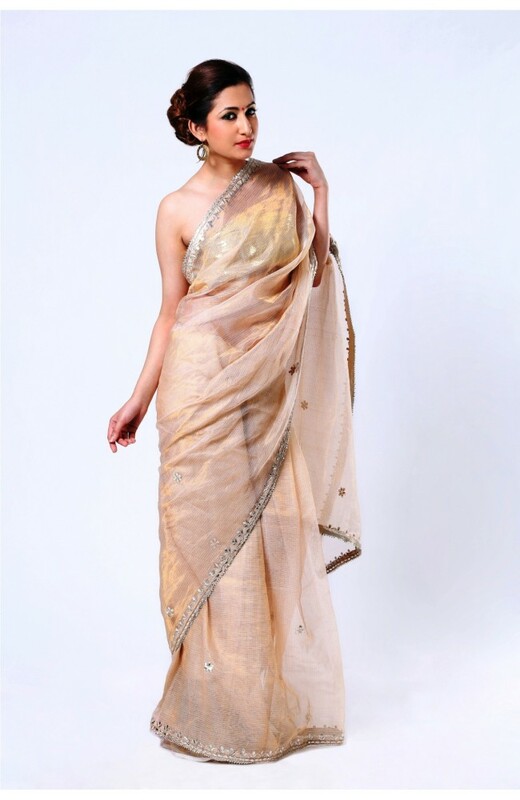 Pair this delicate sheer saree with solid accessories for a lasting look. This designer piece highlights gota patti work on Kota tissue fabric, making it a perfect choice to enjoy traditional style in a trendy way. The gota patti border finally finishes the saree and the matching blouse completes this cream gold tissue saree. You can also look for other colors in the same style for a more personalized touch.